My husband and I will be visiting Genoa next April (with friends) when we finish a cruise (MSC cruise line). 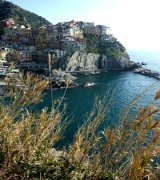 When we disembark from the ship (can you tell me the port and how we would get from the port to the railway station to catch a train to the Cinque Terre)……we will be catching a train to Monterosso and staying there for 5 nights. Can you tell us just how to get to the railway station and how much the tickets are …and also how long it takes to get to Monterosso. Also when we finish our stay in Monterosso on 3rd May 2013, we would like to catch a train from Monterosso back to Genoa to catch a plane from Genoa airport to Berlin. I have tried to find the times that the trains leave from Monterosso early in the morning – can you advise me of those times please. I have found one flight which departs from Genoa airport at 12.00md, but I do not think we could get from Monterosso to Genoa and then to the airport in time for this flight. What do you think? Based on the research I did, MSC cruise ships ( and others such as Royal Caribbean,…) stop at the cruise terminal at Genoa Port. The cruise terminal is relatively close to the city centre and is located between the historic port of Genoa 'Porto Vecchio' and the "Terminal Traghetti" ferry port in the west of Genoa. I do not believe there is a bus that connects the two. 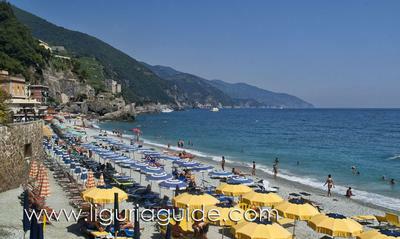 Alternatively, Genoa Brignole railway station is less than 1 km away from the Port (bus no. 31, 19 and a special bus service). The trains between Genoa and Monterosso from Genoa P. Principe station run roughly every 40 mins and the journey takes about 1:30 mins or 1:50 mins depending on the train. The price of the ticket is €6.60 one-way ( or €9.50 if you get the Intercity train which is faster and takes about 1h and 15mins to arrive in Monterosso). Concerning your return , I think you can make your flight at 12md at Genoa Airport. From what I can see the first departing train from Monterosso is at about 5:30am and arriving at Genoa P. Principe station at about 7:25am ( the next train is at 6am and arriving at 8am at the same station). You can than take the Volabus ( the bus line connecting the airport with the rail stations) from the Genoa P Principe station to the airport which takes less than 30 mins to arrive at the airport and costs €6. I hope this has been helpful in planning your trip and please let us know if you need any further help. I was told today that The Principe Station is the nearest from where the cruise ship docks. You mentioned Brigale Station. Yes, in fact you are right that 'Genova Piazza Principe' is the closest station from the Terminal. It's about 10mins walk or you can take a short taxi ride ( there are no buses connecting the two). There is a bus only going to Brignole railway station from the Port. Genova Brignole	station and next in Genova Nervi. So yes, perhaps the most convenient route will be to go by train from Genova Piazza Principe station. I am arriving with Cruise ship Royal Caribbean to Genoa. How do I get to Nervi from the ship terminal? You can either take a train or a bus to Nervi from Genova. 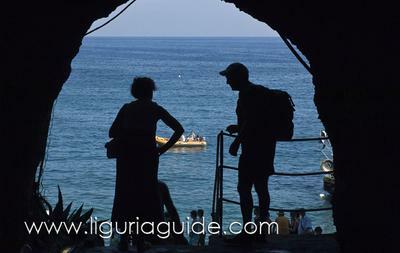 Bus numbers 70/75/76 - Direction: Rapallo which will take about 30 mins to arrive in Nervi. The journey from the Port terminal to Nervi should take you overall about an hour. 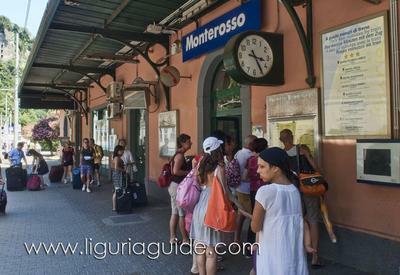 Take the MM bus line near the San Giorgio/metro stop at the Port to Brignole/metro station. Walk to the Brignole train station and take a train in direction towards La Spezia Centrale. The train journey takes about 15mins.